Last May, I had wonderful little adventure that took me and my dear friend, Marcy (check out her amazing blog at Illustrated Poetry), across Wales. 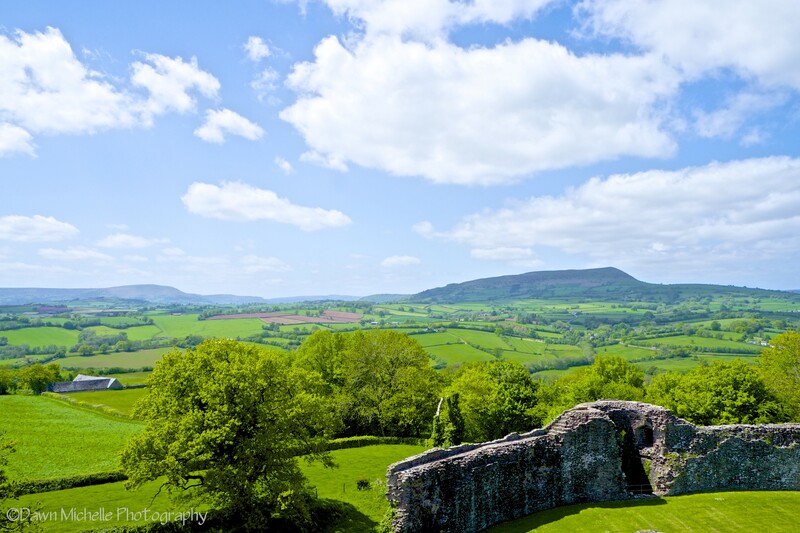 One of my favorite stops was at White Castle located near Monmouthshire, Wales. Here’s the view from the top. Not bad. Thanks Wales! Taken with my trusty Fuji X-E1. And yes, it is that green. This So Cal girl had a hard time coming back to Brownifornia. I highly recommend it! You will not be disappointed.